I’m hopeless when it comes to hairstyles. There are only three ways I wear my hair, it’s either straight (which is my hair in its natural state), I curl the ends, or I pull my hair back into a messy bun. The latter is meant to look effortless but it normally takes several attempts and aching arms (nothing ever comes easy does it?). 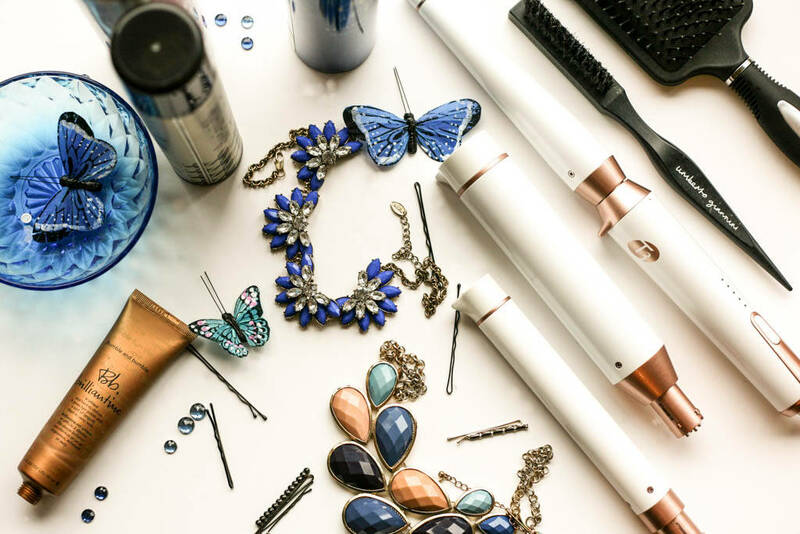 When it comes to going out though, it’s gotta be about the curls and I prefer a more loose, bouncy curl than a tight curl and as one who has been through a few curling irons in my time, the T3 Whirl Trio Interchangeable Styling Wand is genius as it comes with three interchangeable barrels. 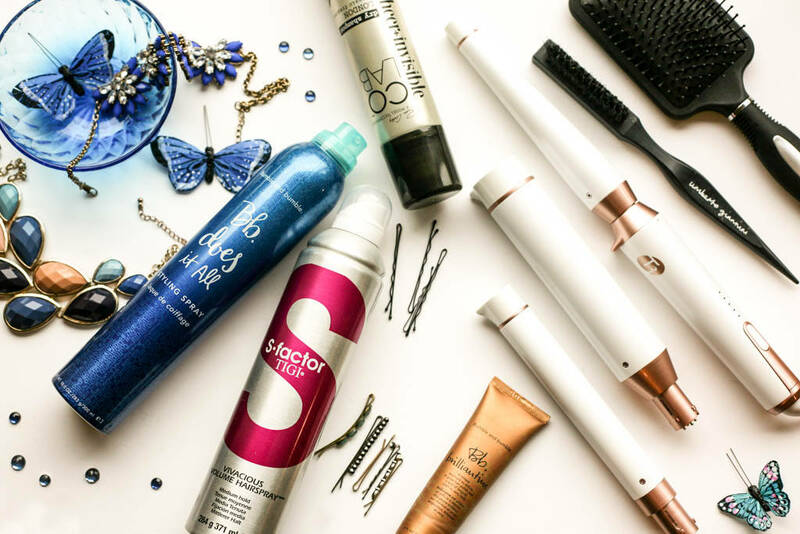 The one and a half-inch barrel is great for those red carpet glamorous waves, the straight barrel for uniform waves and the tapered barrel is great for more mermaid style, natural looking waves. It is mega pricey at £200 (I know, I know), but you are effectively getting three barrels in one, five different heat settings and a smooth, shiny and damage-free finish – I’m just about justifying it! Anyway, I’m normally quite haphazard when it comes to curling as I don’t like the curls to look too uniform so I like the idea of being able to switch up the barrels. I also tend to start the curl from the mid-lengths and it’s always best if I do this on second day hair as it has more grip. Another must for me is to gently brush the curls out using a large paddle brush, which may sound like a waste of all that work but again it creates a natural finish. I’m always seeking volume in my hair whatever the occasion, so it’s only natural that I opt for a bit of subtle back-combing, particularly where my parting is. Back in the day I used to just use a comb, but back-combing brushes are so much better. Another way to add volume is dry shampoo and the Co Lab Dry Shampoo in London is ideal as it is not to heavy and smells heavenly. 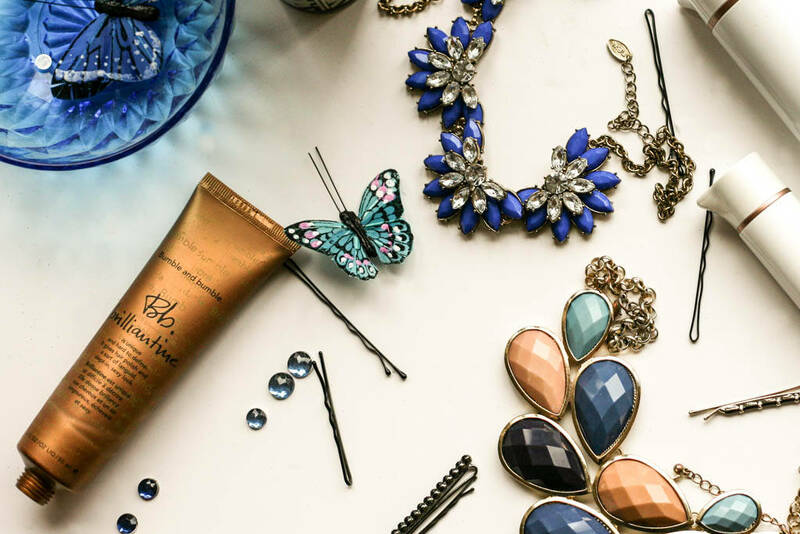 Of course I need to smooth down any frizz and for a more polished finish my all-time favourite Bumble & Bumble Brilliantine does the trick (see my post on this here). Lastly, after a few strategically placed hair pins and grips and a spritz of hair spray I’m good to go. 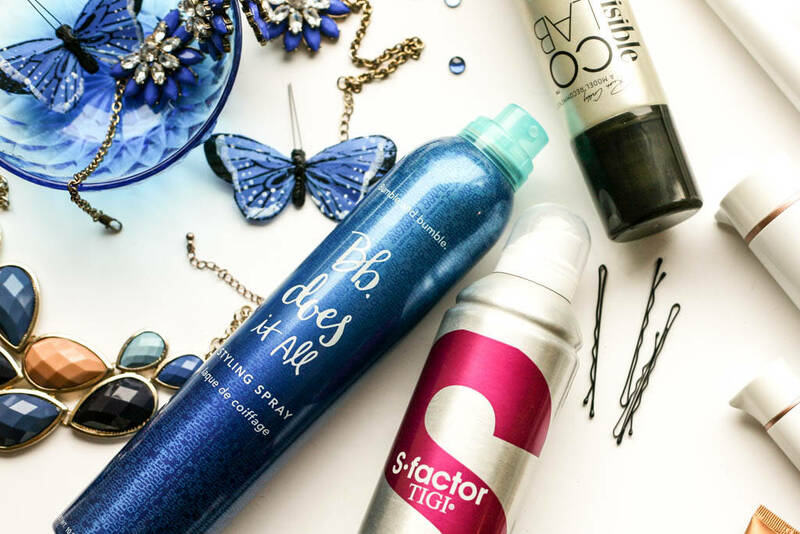 I’m not too fussy with hairspray and at the moment my go-to’s are the Tigi S-Factor Vivacious Hairspray* and the Bumble & Bumble Does It All Styling Spray, both of which leave a natural and lasting hold.